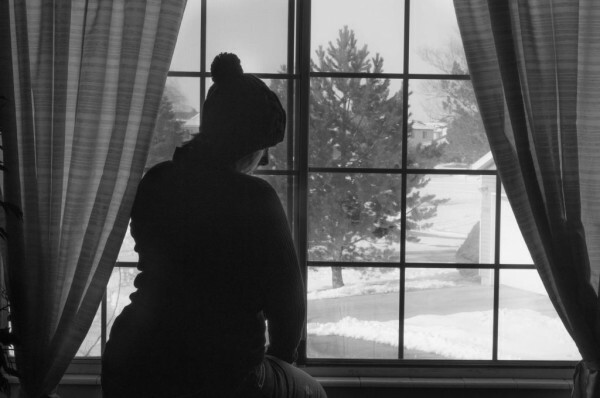 The long, dark, cold months of winter can cause a person to develop seasonal depression – the common name for Seasonal Affective Disorder, or SAD. SAD is a mood disorder associated with depression that happens about the same time of year every year. “(SAD) can come on in September, and it peaks in December and throughout February though April, so called winter blues,” said Nathan Roll, SLCC nursing student and emergency medical technician at the University of Utah Hospital. SAD typically strikes during winter months when there are shorter daylight hours, though it can also occur in the summer. While it’s unknown what specifically causes SAD, there are some likely suspects including the overall mental health, genetics, age and a person’s body chemistry. During the summer months, there is a lot of sunlight, a good source of vitamin D. The shorter months of winter can upset the circadian rhythm or the sleep-wake cycle, which can lead to depression. The reduced light may lower levels of serotonin, the brain chemical that affects moods and can lead to depression. The signs and symptoms include anxiety, unusual or decreases in activity level, loss of self-esteem, hopelessness, despair and social problems such as avoiding social contact and decreased physical contact. Three out of four patients who have been diagnosed with SAD are women between ages 18 to 30. Other risk factors of having seasonal depression include living far north or south of the equator or having a family history of clinical depression or other mood disorder such as bipolar. Exercise, a regular routine and exposure to light may help prevent SAD. Exercise has been shown to defend against feelings of depression and anxiety, and people can get out and stay motivated by keeping a regular routine. Roll said that it is important to have as much light exposure as possible and encourages people to keep the window blinds open during winter months to get as much sunlight as possible. While it is normal to feel down sometimes, SAD is not the normal “blues” and happens with regularity year after year. “If you think you have seasonal depression you should talk to your family doctor or a counselor about it. There is free counseling here at Salt Lake Community College,” said Roll. Six more weeks until spring, or six more weeks of winter?